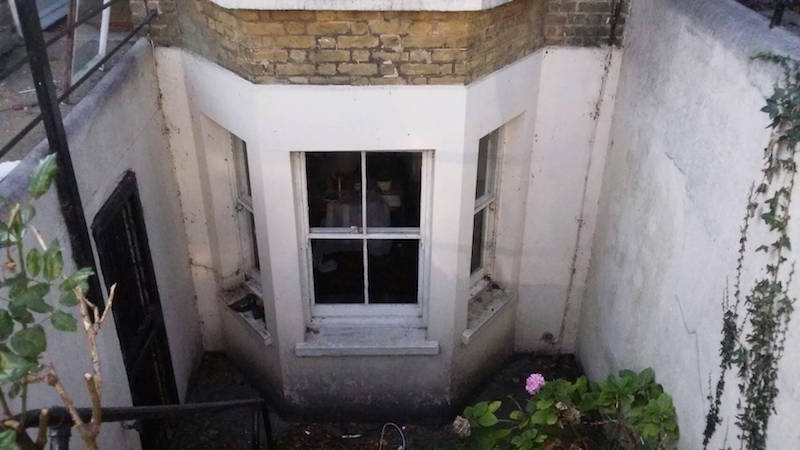 Penge and Beckenham sash window overhaul draught proofing and sash window repair. 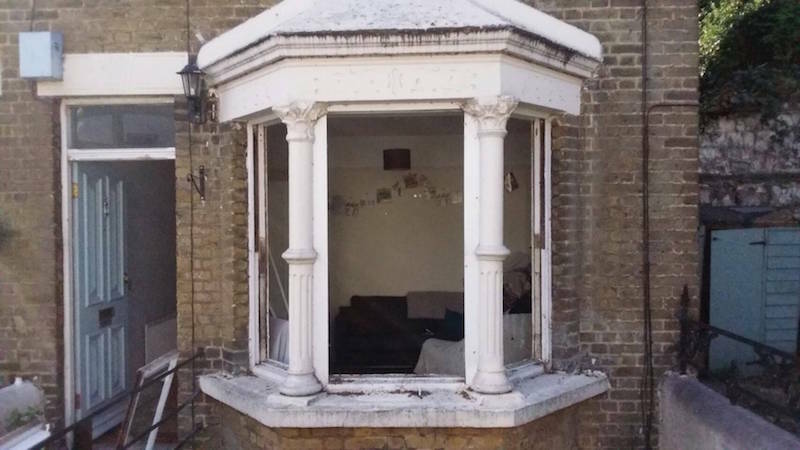 In this Penge near Beckenham sash window overhaul and sash window repair case study the property had been neglected for quite sometime and had been purchased by an unusually sympathetic property developer. The windows required a good overhaul and draught proofing system. The sashes needed some repair but despite the clear lack of maintenance, and cleaning of the windows, they stood up well and given the conditions a testament to the resilience of quality timber and joinery. If you’d like to learn more about our extensive sash repair options please take a look at the resource highlighted. To date, it’s been one of my most favourite projects in 2017 as it’s unusual, although becoming ever more popular for property developers to carefully and sympathetically restore and refurbish traditional sash windows and properties as a whole. The owner planned to maintain all features and keep all original charm and authenticity where possible, it was a project I very much appreciated to be involved with. It’s worthwhile pointing out at this point that we quoted for sash window painting and the double glazing of the original sash windows, however the client didn’t feel painting services were necessary as his team of builders could do this, and we were more than happy to give them some pointers in how to decorate a sash window with a draught proofing system installed. The double glazing was considered, however didn’t feel it would add enough value to the property, or be enough of a selling point to justify the costs. To an extent I happen to agree with this point. There is a remarkable amount of benefit to be had from draught proofing alone and represents, pound for pound, the very best value for money. Normally a draught proofing system will set you back in the region of £200 – £250 per window. Given draught proofing is known to save a minimum of £25 per year in heating, it offers excellent value for money and a true ROI with added bonus of the windows being overhauled and then furniture installed which really makes with worthwhile draught proofing your windows. So, on to what we actually did. The first part in the process is to mark up all the windows and then remove the sash from frame. 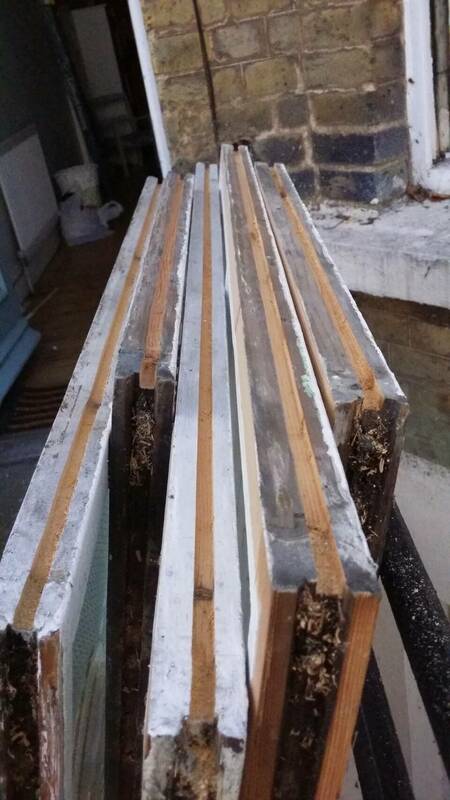 Sash windows removed for sash window repair and overhaul process. At this point we check that counterbalance is in good order, and if add weight required to counterbalance the sash correctly, it’s at this point that the sash are weighed and corrected. Once the sash are out we will then machine the draught proofing grooves to insert a brush pile carrier. Sash window draught proofing grooves run. This is glued in position with an adhesive that’ll bond for many years to come allowing problem free use of you windows. On that note, our draught proofing system is guaranteed for five years. The brush pile is nylon which makes it resistant to water damage. A material based brush pile would be minimally better for the environment unfortunately it wouldn’t last five minutes. The small damage a little brush pile does to the environment is repaid a thousand fold over it’s lifespan. If all plastic objects were that favourable on the environment the world wouldn’t be the same! If you’d like to learn more about our draught proofing system please follow the link provided. 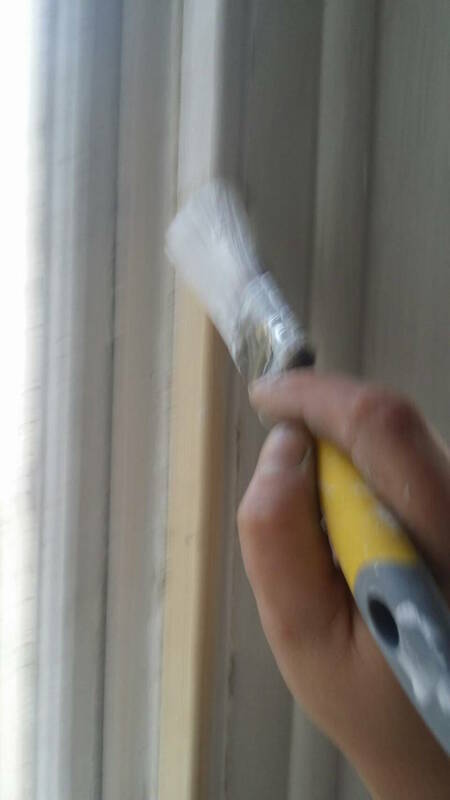 With the brush piles inserted to sash we begin the process of rebuilding the windows. The parting beads and staff beads are replaced as we also install a draught seal to these. Staff bead installation with draught proofing. They are like for like and have no visual impact the on the sash window itself. If you take a look at the image with the windows rebuilt I appreciate they don’t look much – unfortunately they are not decorated yet, however you’ll be able to see that the windows show absolutely no signs of upgrade, the draught proofing is just there, working. Sash window draught proofing after with no decoration. Once the windows are rebuilt and sealed up, we will then install furniture as standard. Security restrictors can be ordered separately as additional security – we highly recommend these as they satisfy almost all insurers as a locking window restrictor. You’ll find most insurance to be valid will require. 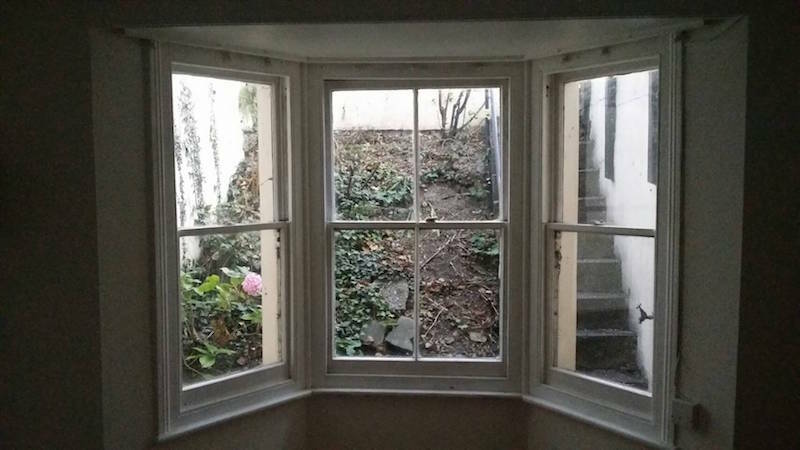 If you are near Penge or Beckenham then we would welcome your enquiry and be glad to provide a free, no obligation quote on your sash window repairs and draught proofing.